You’ve already had one New Year celebration a month back, and it’s nearly time for another! The Chinese New Year begins on the 9th of February, and this time it is the Year of the Monkey. The monkey occupies the 9th position in the Chinese zodiac and has a lot of significance in Chinese culture and mythology. Monkeys are playful, curious and of course naughty – sounds a lot like our kids, right? 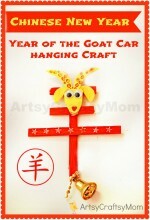 So it’s only fit that the kids have some crafts to do this Chinese New Year, all related to the fun monkey! 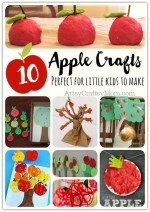 This is one easy craft from The Pinterested Parent! 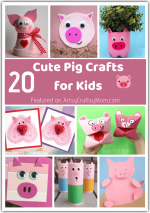 With a paper plate, a craft stick and brown paint, you can make a cute monkey mask that is pretty sturdy and will withstand a good deal of pretend play. This is no ordinary coloring page! The Imagination Box has an interesting coloring page with a hidden monkey. With a combination of colors, you can turn this into artwork worth hanging! If you’d like a craft that doesn’t need too many supplies, these origami folded monkeys from Tavin’s Origami fit the bill perfectly! With detailed instructions on folding, you can make as many monkeys as you like! For a monkey puppet that’s a little more complex, try this monkey king puppet from Hub pages. Just print, color in and assemble with pins. Tie strings to his arms and legs and watch your monkey puppet dance! We’ve heard about the Monkey King, but do we know about his son, Max? This book is the story of Max who finds spending time at the gym a lot more fun than attending school! Thumbprint and fingerprint crafts are popular with toddlers and if you have one at home, this bookmark craft from The Parenting Times is perfect! All you need is a stamp pad, card stock and clean thumbs! No New Year celebration is complete without noise makers, and the Year of the Monkey is no different! My Very Educated Mother has a fun paper plate noise maker craft that uses beans as the source of the noise! Okay, this one’s more for the Mammas than the little ones, but we’re sure they’ll enjoy the end result! Craftsy shows us how to make these adorable monkey cake pops that are just too cute to eat! New Year can also be a time for learning, as these free printable worksheets from Teachers Pay Teachers prove. 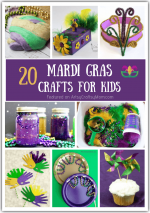 The set includes a lantern craft along with math worksheets – fun way to learn! If you’re having a party to celebrate the Chinese New Year, these egg rolls from Hungry Happenings will be ideal! All you need are basic shape cutters and won ton wrappers, but we’re sure you can manage this with other ingredients as well! 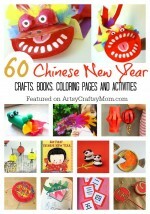 The Chinese New Year begins after a weekend, so you can use the preceding days to organize a little kiddie party – you already have some food and decor ideas laid out here! Get all the mischievous monkeys together and have a ball!